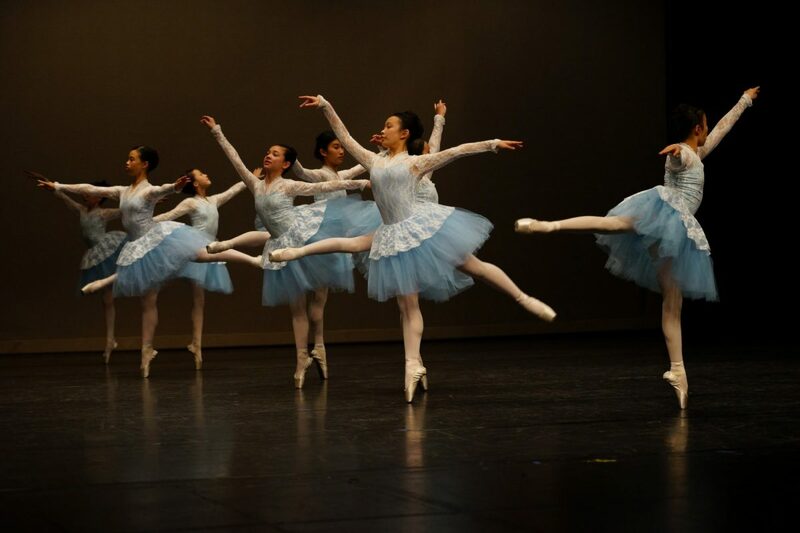 Our students are in two performances each year: the Nutcracker in December and a summer performance in Spring. Performance Fee includes two complimentary tickets. Who can be in PDA performances? All students can participate–and virtually all do. Exceptions are when students just enrolled in our studio, they are injured, or miss too many classes to learn the dances. In our last performance, 68 students danced, from every class level. Ages ranged from 4 to adult. We hire professional dancers to perform solos and duets. Past dancers have been from Silicon Valley Ballet and Bay Pointe Ballet. Who makes the final decision whether a student participates? Heba makes the final decision. How many performances does PDA stage per season? Two. Nutcracker in December, and a unique ballet in May or June. Both feature Heba’s original choreography. Are PDA performances a big deal? Yes. Students look forward to the shows. They meet and watch fellow students dance, both older and younger. They learn how a performing arts production comes to fruition–through teamwork and cooperation. Everyone counts on everyone else. How much is the performance fee? $115 for the first dance a student performs, $45 per additional dance. Performance fee includes 2 tickets per student. How many dances is my child in? This varies by class level. Pre-Ballet I is always in one dance. How many dances do Pre-Ballet I students ALWAYS perform? How can I reserve my child’s spot on stage? Pay the performance fee. Ask us to process the fee on your PDA account. The performance fees and costume fees are nonrefundable. How do I buy the required costume for my Pre-Ballet I child? Pre-Ballet I costume has 2 parts: white wings, white tutu. Below is a tutu size guide. Allow time for shipping! What if I have a Pre-Ballet I costume from a previous performance? Use it again but make sure it still fits! Do all students wear costumes? Yes. For students in Pre-Ballet II and up, costume rental fees can vary but typically are $55 per costume. 2 tickets come w/ each student’s performance fee. We hand them out at rehearsal. How do we buy more tickets? PDA online store (through your account), in the studio, at the rehearsals, the night of the show. You can also email us and request tickets, and we can process the payment online. Pick up tickets at studio or will-call performance night. How much are additional tickets? Yes, a few, including a dress rehearsal in the theater.